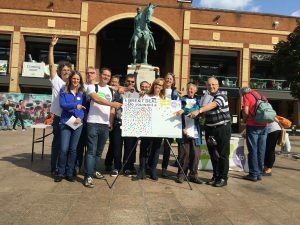 250 local supporters travelled to be part of the March for a People’s Vote in London on Saturday 20 October. 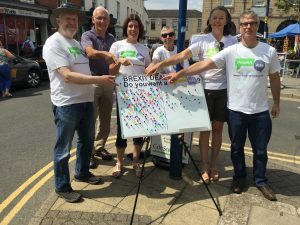 They left from Leamington, Kenilworth, Warwick and Stratford to join an estimated 700,000 people who marched to demand a People’s Vote on the Brexit deal. 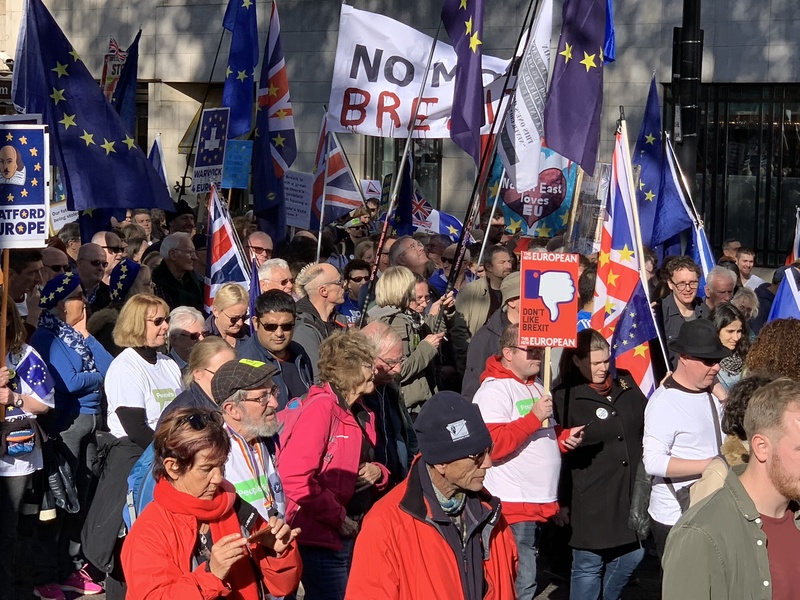 With placards, banners and flags, there was a great atmosphere on Park Lane, where they joined hundreds of thousands of all ages from the whole of the UK. There were speeches in Parliament Square by Delia Smith, Sadiq Khan, Anna Soubry MP, and others. 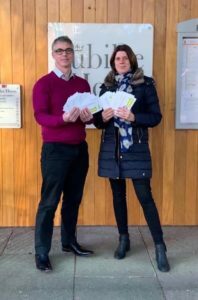 Peter Corkill, Chair of Warwick District 4 Europe, said: “We know so much more now that we did at the time of the referendum in terms of the impact that leaving the EU will have on jobs, the NHS and our everyday lives. Because of these new facts it is vital that the final deal is put to a People’s Vote”. The coaches were organised by Warwick District 4 Europe along with its partner group, Stratford4Europe. Both are local, cross-party, grassroots campaign groups which have been lobbying since the 2016 referendum for Britain to continue to play a leading role in the EU.